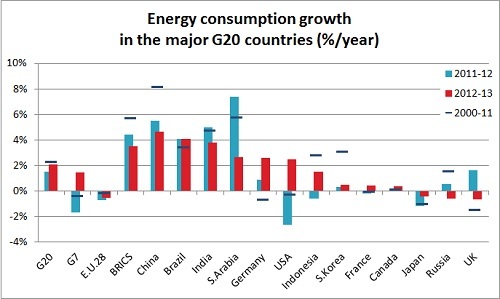 Based on its 2013 data for G20 countries, Enerdata analyses the trends of the world energy demand. The USA returned to a dynamic growth level, while the BRICS kept driving energy demand. Make your colleagues and friends benefit from this analysis: Global energy trends 2013 Analysis.